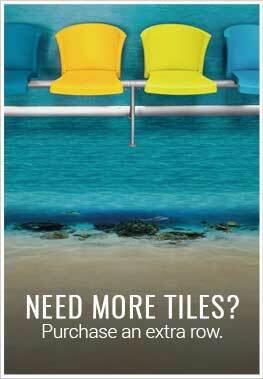 Description - Dive into the deep blue with our Reef Flex Tiles! This beautiful and realistic looking flooring option captures the colorful and vivid look of a beach entry in the comfort of your home or commercial space. Sit back, relax, and enjoy a beach environment without the hassle of the messy sand! These tiles are Made in the USA, contain no VOCs or contaminants, and are super easy to clean and maintain. Recommended Uses – Reef Flex Tiles are recommended for use wherever a cool and unique flooring option is needed, such as i hospitality environments, waiting rooms, classrooms, day cares, playrooms, boutiques, retail shops, bedrooms, and more. My son loves the water and he is obsessed with this floor - thanks for a great product.